Learn more about our VIP coaching and mentoring sessions for individuals, business, organizations or families. 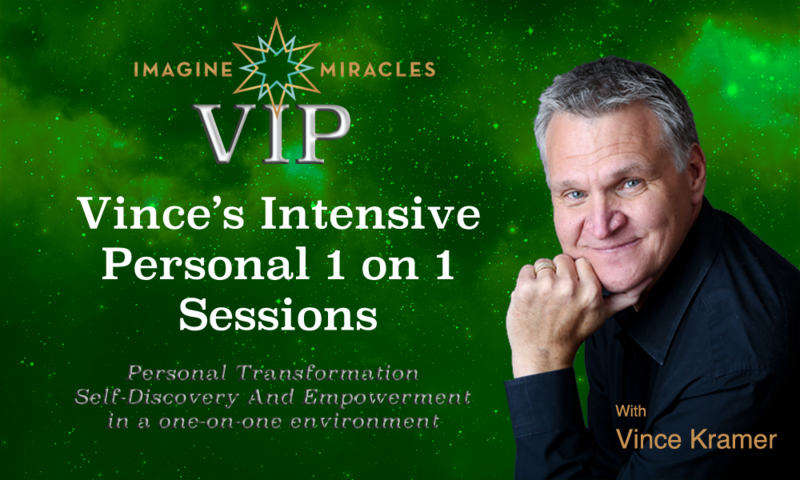 If you prefer to work one-on-one with a mentor or want to make a lasting change quickly in one area of your life, you will find a VIP session is the perfect way to get the personal touch you need. If you or your organization want to become effective, empowered and go beyond what you could ever imagine, if you are willing to take action, you’ve come to the right place. Vince will masterfully help you identify your unique path to success and the roadblocks holding you back from achieving your true potential. During your coaching sessions, Vince will guide you through a process of life mapping, self-discovery, creating, transforming and self-empowerment. Having your own coach is probably the most direct and effective way to improve personal and professional results. Great athletes and performers all have coaches who help them connect to their true potential and YOU now have the opportunity to realize your boundless potential through our coaching relationship. The coaching is telephone-based, which means no matter where you are in the world, you can easily access Vince’s unique style. Start connecting to your purpose and live the life of your creation today. Work on shifting beliefs and perceptions that sabotage your success. His caring and down-to-earth approach, coupled with leading edge information and techniques will help you achieve amazing results, and create a blueprint for living the life of your design and on purpose. Time for meditation and self-reflection is provided during the two days so you can connect with your true potential. Retreats are offered for individuals, couples, corporate teams and entrepreneurs.